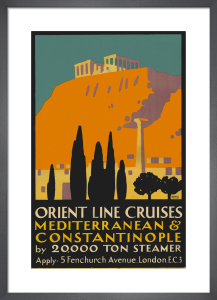 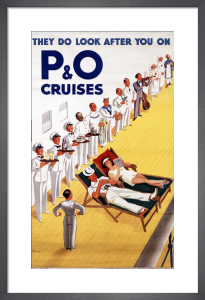 Luxury liners, exotic ports of call and the romance of travel by sea, in a bygone era, the name P&O says it all. 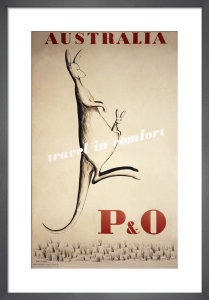 Founded in 1837, P&O became the largest shipping company in the world and remains one of the most famous brands afloat. 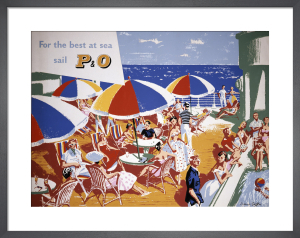 Today P&O Heritage preserves the company's unique past and its nationally important archive and collection of over 35,000 items. 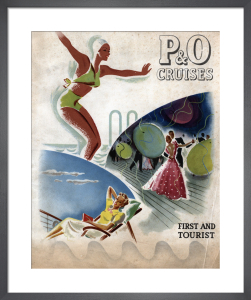 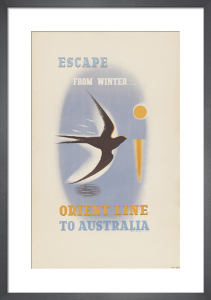 Carefully selected from the P&O Heritage archive, these sunshine-filled posters celebrate the golden age of travel and hark back to a time when post-war Britons first embraced holidays abroad, and cruising became the most fashionable way to explore the world.